Ok, you might not be able to dominate a stellar range of keywords the way, for example, RightMove dominate the UK residential property searches, but deciding against tackling a competitive online marketing niche only because there are a couple of big players rocking the first page of Google – is a very weak excuse. Let’s roll up our sleeves and see how we can at least own a slice of our target market. To take you through it I have prepared two real-life examples of Dave killing it like a pro! If you want to take on the big guys, you will need to be more agile and your strategy will have to smarter than theirs. It’s not too difficult to do because the corporate world is stagnating. They’re bound by regulations, traditions and other stuff designed to slow down progress. You as a small or medium business are free to build your online presence how you wish. By getting your SEO strategy right you can set short term and long term goals that will lead to steady gradual growth. At LexisClick we're all about Inbound Marketing principles, which is why I suggest you invest time into researching your ideal buyer personas, understanding their customer journey and aligning your keyword research to this customer journey. The key is to understand the relationship between long tail keywords and short keywords. Long tail keywords contain three or more words, they attract low search volumes (e.g. only 50 people per month might be googling a particular long tail keyword), however, they are much easier to rank for. Also, it’s a numbers game. There are loads more long-tail keywords out there than there are short keywords. To give you an example, “inbound marketing agency in bournemouth” is a long-tail keyword and it’s not too difficult to get your site ranked number 1 for it. Whereas “seo agency” is a short keyword with a crazy amount of competition, and tackling such a keyword would take a lot of time, effort and creativity. Your best strategy is to achieve rankings for a wide range of long-tail keywords as soon as possible so that you get initial leads and sales flowing in. At the same time, execute your long-term strategy and build up your ranking for a limited number of short keywords. You may think I’m playing with your brain right now. So, basically, I told you earlier to spend time and effort working out your customer journeys and aligning your keyword research to them; only to turn everything upside down and give you counter-intuitive advice? That’s right, but bear with me, it will all begin to make sense soon. With this approach the difference between success and failure is in two factors: the way you think about your conversion funnel and how clever your alternative calls to action (CTA) are. The main issue with limiting your creativity within the frames of a (badly) drawn conversion funnel diagram is that when real visitors hit real websites, they behave differently. You may have imagined that visitors will arrive on the homepage, click a product category, then sub-category, then product page and finally end up on the checkout page, however, it’s not always that straightforward. You will notice that people enter your website from unexpected places and exit where they’re not supposed to be exiting. When I work with clients, I always advise them to keep two pools of keywords – the main pool will contain the converting keywords (aka. buying intent keywords). Then there is a need for another pool containing so-called browsing keywords or conversational or informative keywords. A good example from our niche. When a person searches for “seo agency in bournemouth” and lands on our site, we have a very high likelihood of converting him into a lead. However, if someone searches for “what is SEO” – there’s virtually no way this visitor is ready to convert. Does he even have a website at this point? What most marketing managers do wrong is – turning up their nose at these visitors. What you should do instead is – capturing these browsing visitors through an email collection form or by making an irresistible awareness stage offer to build your newsletter subscription base. It may be another year or two before this visitor is ready to buy from you, however, now that you’ve established a relationship with him at an early stage, you (and not your big competitor) have a much higher chance of converting this person into a customer. We’re talking about rugby. Do you see what I did there (ok, moving on). You would have to be off your rockers to tackle an industry dominated by Lovell and Sports Direct, yet there’s a guy who’s doing it right now as we speak. A great example of this smart SEO strategy done right is a small e-commerce establishment called RugbyWarfare. 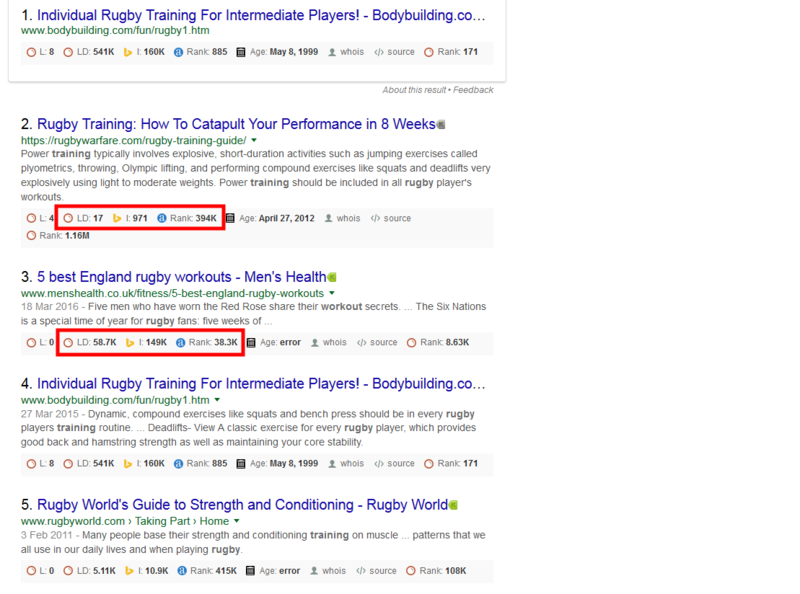 If you do a search for “rugby training” you will notice that it comes up in position 2 outranking competitors like Mens Health, Rugby World and Sport Plan. How did this site consisting of 950 pages manage to rank for such a competitive keyword with just a handful of backlinks. As you can see from the screenshot, SEMrush SEO tool estimates it has just 17 backlinks. Mens Health have 58,000 backlinks and 150,000 pages of (mostly) high-quality content. The answer is simple. If you scroll through his page and compare it with Mens Health, it’s like day and night. This guy has done a brilliant job by writing a 10,000+ word treatise on workouts and strength building. What Mens Health have done? They've conjured up a rather average 300-word article. This is the beauty of smart SEO. It’s you who control your onsite factors. If you want to make a high-quality long-form landing page, you can do it. You don’t need a 20-strong marketing team and multi-million budget to create a superb website with squeaky-clean on-site SEO and high quality content. Wondering what I mean by squeaky-clean? Try our technical SEO auditor tool to find out! The only criticism I might have is that the email capture form appears only once per page. I’d repeat it at least twice – once in the middle of the page and another instance at the very end. If a visitor scrolls past the first form and bounces from the page, that’s it, he’s gone. Always have multiple capture points throughout a landing page. Why did the owner feel the need to make such a big effort to rank for a conversational keyword that would never convert. His goal is to sell rugby clothes. Can you sell clothes to somebody who’s just browsing for different workout tips? Nope… unless, you dazzle them with brilliant content and then capture their contact details. Now we’re talking. If you capture thousands of people who are interested in training, even though they’re not in the buying mode right now, they will be at some point. And then all you need to do to bolster your bank account is – send them a well-crafted newsletter. When it comes to B2B telephony and conferencing systems, there’s just one name that springs to mind – BT. They must own the lion’s share of the trade. Then there’s Misco, Mitel and OneDirect who scoop up what’s left after the lion has had its dinner. Oh, and Amazon too – some small businesses will buy their telephony solutions directly from Amazon because their prices are often significantly lower. So, if you want to sell B2B communication solutions, you’re screwed. But are you? 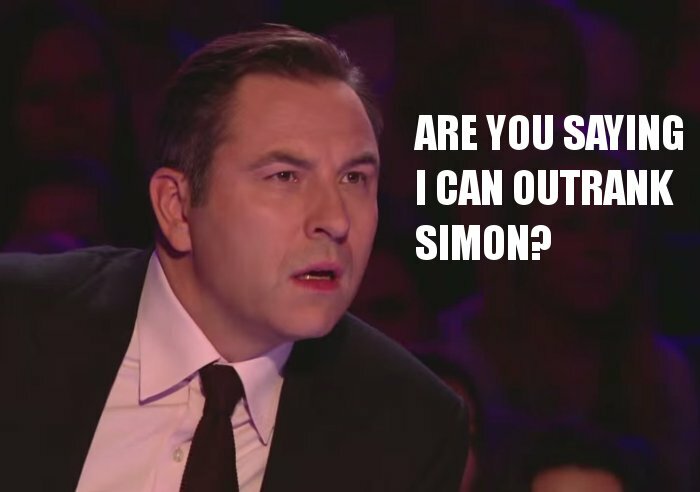 It turns out that not only can you top the Google search results, you can deliver a double-blow and own both top spots with BT sulking at position number 7. And you can do all that with a website that looks like it hasn’t had an update for the last 20 years. 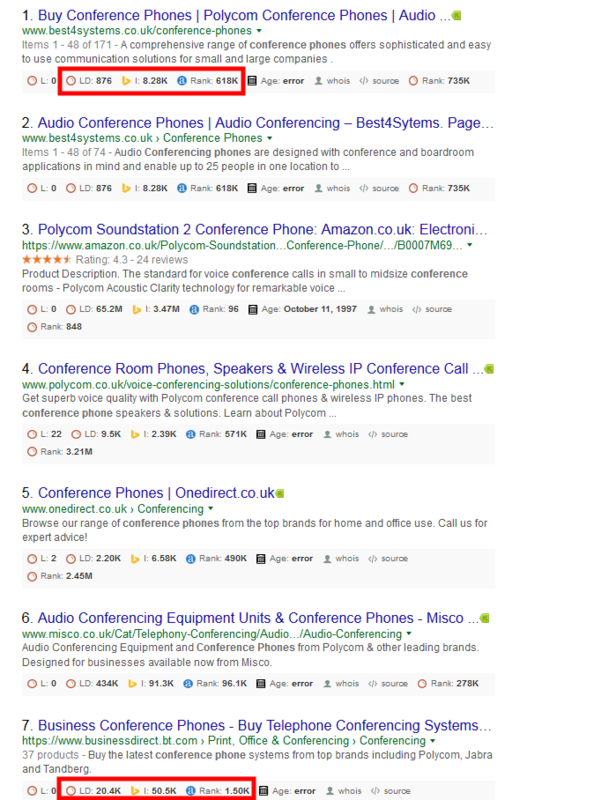 Google for “conference phone” and see who comes up. 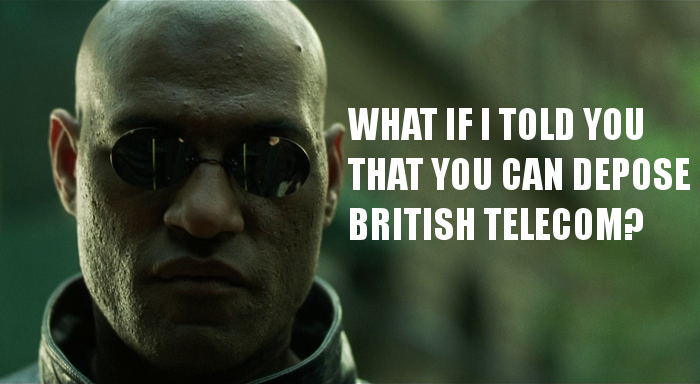 It’s this site – best4systems.co.uk. It’s a family-owned business, an independent UK-based company who’s been around since 1995. On first inspection, the site doesn’t have much going for it. There are a few alarming notes – like, for example, it isn’t sitting behind HTTPS, its speed rating is well below par at 57/100, its backlink profile is full of questionable links. Their page titles and headings are well optimised. You see? All six factors can be replicated by any small business. So, in order to outrank competitors, all it takes is a good product, high-quality web copy, loads of determination and a handful of backlinks. I should give a disclaimer here – not all niches are easy to break into. I would argue that there are no impossible niches. If you delay improving your site SEO only because some big competitors are dominating your marketplace, you’ll have to give me a better excuse. You control your own site. Make it the best site in your niche. Start by fixing ALL technical SEO issues. Check your Google Search Console, the crawl errors and HTML suggestion sections specifically. Stop when there is not a single error left to fix. Google SERP conversion optimisation – I wrote an article about it earlier. Check it out here. Don’t overlook your page titles and meta descriptions. They are what determines whether a visitor will click your link or your competitor’s link. Start with strategy and have a short-term and long-term keyword plan. Create the most awesome piece of content. Something that is much better than any of your corporate big-gun competitors will ever manage. Stop fussing about converting all your visitors on the spot. Have secondary (or even tertiary) CTAs that will help you build a newsletter list. To give you a bit of a head start, check out our technical SEO audit tool that will help you identify some on-site issues worth fixing. Arvid is a digital marketing executive at LexisClick, managing strategy and general SEO tasks. 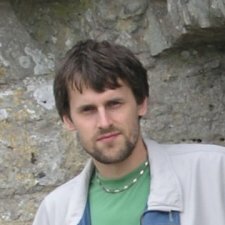 Arvid comes from a journalist background and he has 10+ years' experience in SEO.